The Lombard Company an exciting history. 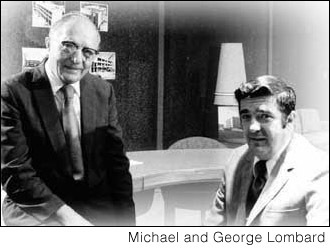 In 1956, George Lombard and his father Michael made a brave decision to start The Lombard Company. In the first few years it was their devotion and personalities that made it possible to be awarded several important contracts. These were completed to the complete satisfaction of the clients. The small, young company quickly made a name for themselves in the industry. Never afraid to take on the biggest and most difficult projects that others more than twice their size balked at. George and his father were well known for their hands-on approach to general contracting. 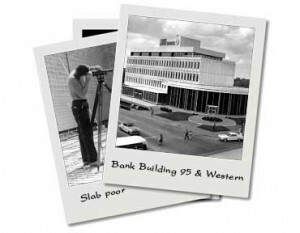 With George as the head of field operations, and Michael Lombard running the planning and estimating at the office, The Lombard Company performed their own carpentry, concrete and masonry work on their projects. 1960, having moved their business operations to the Village of Alsip, The Lombard Company became focused on developing existing farmland into industrial use. Being actively involved in concrete construction, they saw a benefit in precasting the exterior walls of the industrial buildings. From a very simple beginning with rather plain, channel-shaped wall panels, the creativity for precast use began to grow and continues to grow today. Lombard Architectural Precast Products Company (LAPPCO) was born and has since prospered into one of the most respected manufactures of architectural precast products in the Chicagoland area. After George was given full responsibility over the company, he would eventually be joined by the third generation of Lombard’s, his sons Michael, John and Dan Lombard. 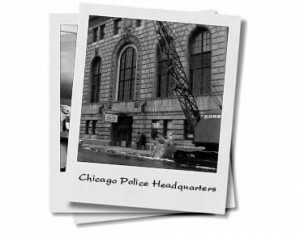 Michael Lombard joined The Lombard Company in 1977 after graduating from University of Notre Dame in civil engineering and also completing a master’s degree in that major at the University of Illinois. John Lombard joined the company the following year after he too graduated from University of Notre Dame in accounting and working several years for a large auditing firm. In 1985, the last of the three sons, Dan Lombard, joined the company after working several years for another contractor. Dan graduated from University of Notre Dame in civil engineering, and then completed an MBA degree at the University of Michigan. Michael Lombard is President and Chief Operating Officer of The Lombard Company, with his main responsibilities involving running the construction end of the company. John Lombard is Executive Vice President and Chief Financial Officer and handles the leasing and management of The Lombard Company’s real estate investments. Dan Lombard is also an Executive Vice President and Chief Business Development Officer where he over sees estimating and marketing for the firm. The fourth generations of Lombards have now joined the company. Ryan Lombard, Michael’s son, graduated from Illinois State University then joined The Lombard Company in 2011 as a project manager. Joe Lombard, John’s son, after finishing his degree in construction management at Purdue University is working at LAPPCO – Lombard’s Precast Concrete affiliate. Some of Lombard’s more memorable projects include the Midway Airport Traffic Control Tower, a 130-foot tall tower, comprised of 13 levels of structural precast concrete segments. Another amazing accomplishment of their precast division was the completion of Chicago’s new landmark hospital, the Ann & Robert H. Lurie Children’s Hospital of Chicago. This imposing structure in the heart of Chicago’s Gold Coast consisted of 1,724 separate precast panels to complete the 1.25 million square foot structure. The Lombard Company is now making great strides in the new field of green building technology. They recently earned a Gold LEED Certification for the Camp Sagawau Environmental Learning Center in Lemont, IL. Today, The Lombard Company has established themselves as a leader in the construction industry. Stressing on-time delivery within a realistic budget, they have developed hundreds of industrial, institutional, commercial and municipal projects – each using the highest quality workmanship. Their steady growth through the years is a testimonial to the many satisfied customers they have served.